This novella has the most lyrical prose I've read in a long, long time. 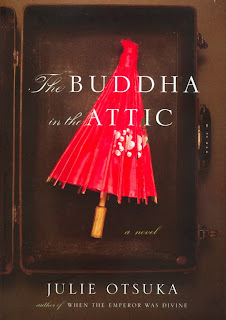 It begins on a boat in the early 1900s, with dozens of young Japanese women who were being shipped to husbands in San Francisco to begin new lives. The women didn't know it yet, but they had been sold a bill of goods. They had been promised that their husbands were successful, handsome and rich, and that they would love living in America, but the truth is they would become migrant workers in California, and that the women might have been better off staying home in Japan with their families. The book gives a breathless, kaleidoscopic account of the women's hopes and fears and the hard-working lives for which they settled. "On the boat we were mostly virgins. We had long black hair and flat wide feet and we were not very tall. Some of us had eaten nothing but rice gruel as young girls and had slightly bowed legs, and some of us were only fourteen years old and were still young girls ourselves. Some of us came from the city, and wore stylish city clothes, but many more of us came from the country and on the boat we wore the same old kimonos we'd been wearing for years -- faded hand-me-downs from our sisters that had been patched and redyed many times. Some of us came from the mountains, and had never before seen the sea, except for in pictures, and some of us were the daughters of fishermen who had been around the sea all our lives. Perhaps we had lost a brother or father to the sea, or a fiance, or perhaps someone we loved had jumped into the water one unhappy morning and simply swum away, and now it was time for us, too, to move on." 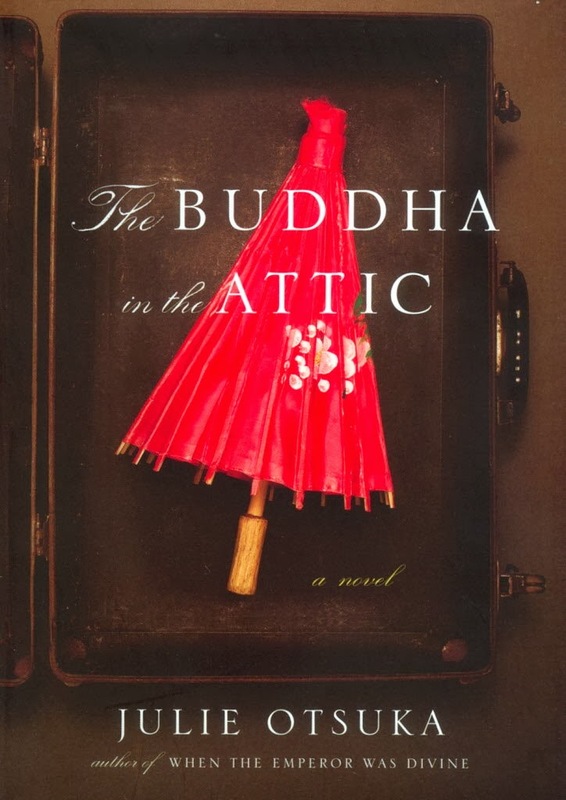 "Some of us on the boat were from Kyoto, and were delicate and fair, and had lived our entire lives in darkened rooms at the back of the house. Some of us were from Nara, and prayed to our ancestors three times a day, and swore we could still hear the temple bells ringing ... Some of us were from Hiroshima, which would later explode, and were lucky to be on the boat at all though of course we did not then know it." After the sea voyage, the stories progress to how the husbands treated their wives, and the children that followed and the hard work they endured. And, U.S. history being what it is, we eventually arrive at the bombing of Pearl Harbor (but I don't think that name was ever mentioned), and the last 50 pages of the book show their shock at suddenly being labeled traitors and the fear mongering that persisted, and by the end, the Japanese have disappeared from the town. I thought it was a nice touch that in her acknowledgments, Otsuka admits having reappropriated some lines of dialogue from Donald Rumsfeld in 2001 and inserted them as the "mayor" in 1941. Same principles, different war. I hope I haven't made the book sound gloomy. I actually found it inspiring and full of beauty and hope. Each sentence is its own little story, and the writing is so rich and visual that I was utterly absorbed in the prose. Would I have had the courage to sail off to a foreign land and a strange husband at such a young age? I doubt it.